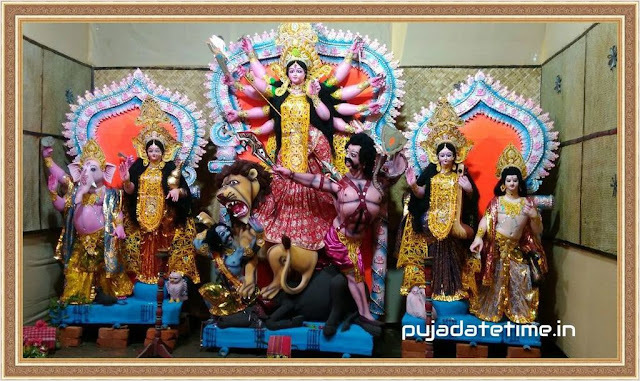 2020 Dhanteras Puja Date Time in India, Dhantrayodashi, धनतेरस Puja Schedule, 2020 Dhanteras Puja Date Time, Dhantrayodashi, 2020 धनतेरस Puja Schedule , ধতেরাস পূজার সময় ও তারিখ 2020, धनतेरस पूजा तिथि २०२० , ২০20 ধনতেরাস পূজার দিন ক্ষণ, 2020 Dhanteras Puja Date Time . 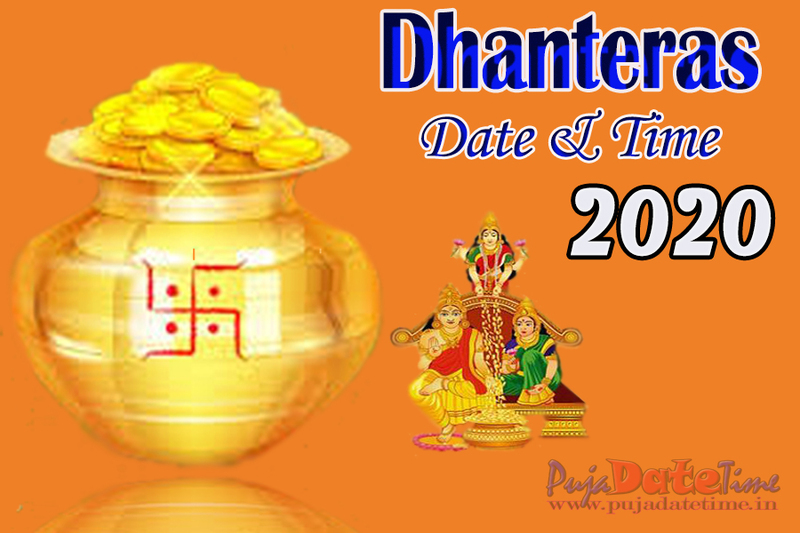 About Dhanteras: Dhanteras ( Bengali- ধনতেরাস, Hindi- धनतेरस) or Dhantrayodashi is popularly known as the first day of Diwali festival. On the day of Dhanteras, Goddess Lakshmi came out of the ocean during the churning of the Milky Sea. Hence, Goddess Lakshmi, along with Lord Kubera who is the God of wealth, is worshipped on the auspicious day of Trayodashi. However, Lakshmi Puja on Amavasya after two days of Dhantrayodashi is considered more significant. Dhan Teras is the day chosen by many people to make investments in gold or silver. 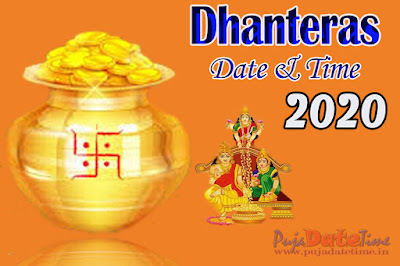 Dhanteras 2020 date is November 13.